Muscari TZ.-1 : New Venus Vulture album out now. While for the most part I pursue writing as my main creative outlet, from time to time I also create ambient music. With Kendall Keener of December Nightskies I make up one half of Shadows on the Snow. We exchange music back and forth, remixing snippets of each others work to create something new. Most of our combined music appears on archive.org, some on netlabels and occasional pieces appearing on compilations. Solo I make music as Venus Vulture. My latest release is Muscari TZ.-1. The long, ambient tracks, with deep levels of repetition. I’m a fan of FM3’s Buddha Machine, so much of my recent music has reflected some of that repetition aesthetic. I first started writing music because I liked having something in the background while I wrote stories. I couldn’t find enough, so Venus Vulture was born. Musicari TZ.-1 is available on Bandcamp. You can stream it there. If you’ve read this and it sounds like you might like a listen, PM me/comment and I’ll send you a free download link sometime in late May. This entry was posted in music and tagged ambient, ambient music, bandcamp, dark ambient, december nightskies, music, music to write to, shadows on the snow, venus vulture, venusvulture on 21 April, 2017 by Sean Monaghan. Kendall-my Shadows on the Snow bandmate- has a solo adventure as December Nightskies. Prolific ambient musician that he is, he has numerous releases on various netlabels – Haze, Petroglyph, Zenapolae, etc. His latest release, however, is a physical CD from This Winter Will Last Forever. Kendall’s CD is right at the edge of the label’s usual fare, which tends more toward the metal end of the music spectrum. I guess the dark-metal, dark-ambient collision makes for a good fit. Anyway, after many years of collaborating with Kendall, and listening to numerous downloads of his, it was very cool to listen to a physical CD. Yes I do like CDs. Rainbowdrone fits right there with my list of “music to write to”, or perhaps Eno’s “interesting enough to be engaging, discreet enough to be ignored” (I can’t find the exact quote). An hour of background drones, at times deep and dark, at other lighter. Perfect to put on to unwind, chill, relax. Or write to. When I first began listening to ambient music it came from a love of that background soundscape that worked well with my writing. It’s cool to personally know someone who’s creating exactly that. Rainbowdrone is available for €7 from This Winter Will Last Forever’s store. This entry was posted in music and tagged ambient music, dark ambient, december nightskies, drone, drone music, haze, kendall keeler, music, music to write to, petroglyph netlabel, this winter will last forever, zenapolae on 16 November, 2016 by Sean Monaghan. Kendall’s been busy again, keeping up the releases from our band Shadows on the Snow. This one has sounds mostly by me, recrafted and textured brilliantly by Kendall. This is the kind of thing I like about our collaboration – how we each bring in something new. You can download Ganymede for free from archive.org. Check out Kendall’s new December Nightskies album Rainbowdrone from This Winter Will Last Forever records. To check out the full catalogue of Shadows on the Snow releases, see archive.org – here. This entry was posted in music and tagged ambient music, december nightskies, drone music, kendall keeler, music to write to, space music on 13 September, 2016 by Sean Monaghan. With some upcoming writing news any day now, it’s cool to have some music news. By day I’m a writer, by night I tinker with ambient music as Venus Vulture. There are a few Venus Vulture releases around, as well as numerous collaboration albums with Kendall of December Nightskies as Shadows on the Snow. I’m also grateful to Kendall for steering me toward some compilations (like this one). The lastest Venus Vulture track, ‘Basalt Arches’, is out now on the Xernex compilation Into Hidden Visions – a free download from Bandcamp. My track’s a slight departure for me; less drone, more busy-ness. There are even some drums. There’s quite a line up of artists there. I’m pleased to be able to discover some new people and new sounds. Here’s the list, taken from discogs (link also includes more images). This entry was posted in music and tagged ambient music, compilation, december nightskies, free music, music, music to write to, venus vulture, xernex on 26 July, 2016 by Sean Monaghan. 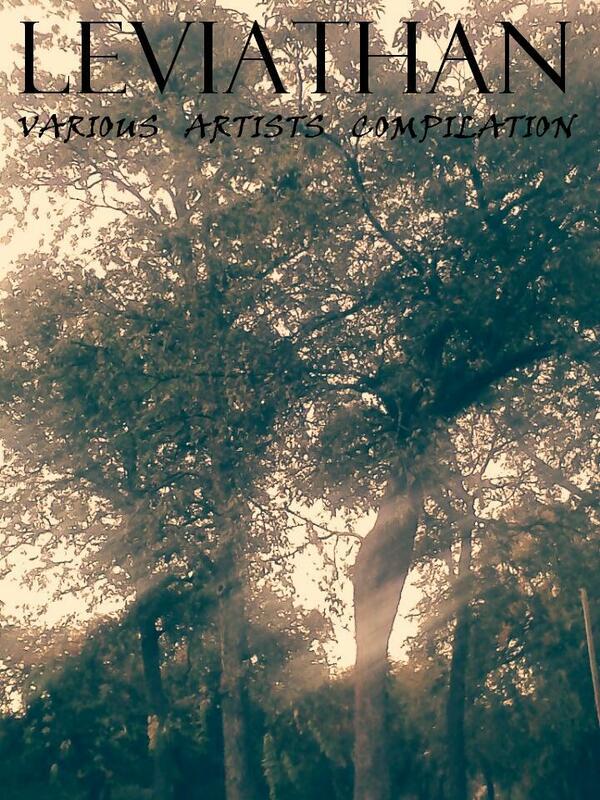 Kendall Keeler of December Nightskies has put together another compilation of ambient and dark ambient tracks. Behemoth has 21 tracks by various artists, including my own Venus Vulture track “Components From Air Filter Residue, Daytona Speedway, February 2016”. One of my longer pieces – a little over 14 minutes – that I hope covers a lot of ground, while still being very unobtrusive. I also sneak in with a Shadows on the Snow (my collaboration with Kendall) track “The Snake is on the Prowl”. This follows Kendall’s Leviathan compilation from October/November last year. Many of the same artists return. This is shaping up to be a fine series of eclectic sounds. I’m honored to be a part of it. This entry was posted in music and tagged ambient, ambient music, december nightskies, kendall keeler, music, music to write to, shadows on the snow, venus vulture on 2 April, 2016 by Sean Monaghan. So mostly I’m talking about writing here, but on occasion I have some of my music as Venus Vulture show up. My ambient track “Night of Cerulean Sharks” has just come out on Petroglyph Music‘s Leviathan compilation from Kendall Keener of December Nightskies. I’m stoked to be included among such a cool group of ambient and experimental musicians. It’s available to stream from Petroglyph Music’s Bandcamp site, and for free download through Archive.org. This entry was posted in music and tagged ambient music, december nightskies, kendall keener, petroglyph music, venus vulture on 10 November, 2015 by Sean Monaghan. 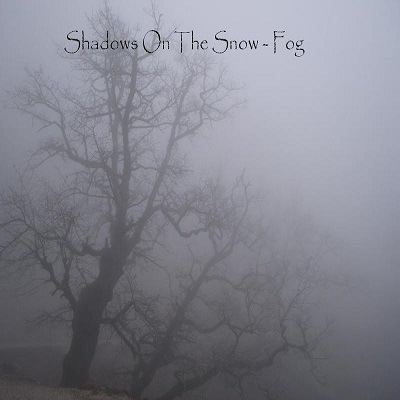 Petroglyph Music have just released the new Shadows on the Snow album, Fog. An hour of relaxed ambience. Free download from the Petroglyph Music site. Shadows on the Snow is a collaborative music project with Kendall Keener (December Nightskies) and me (Venus Vulture). 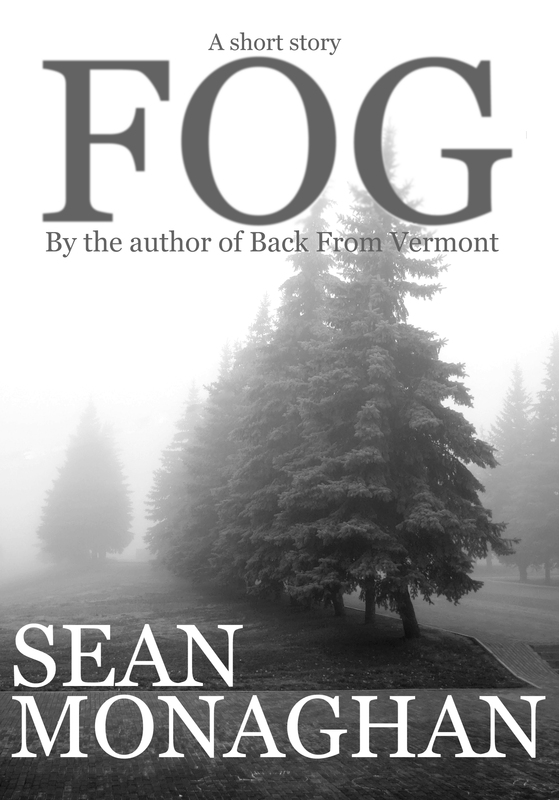 This album is not to be confused with my literary short story “Fog”, published on Triple V Publishing, which has a somewhat similar cover. This entry was posted in Uncategorized and tagged ambient music, december nightskies, kendall keener, petroglyph netlabel, shadows on the snow, venus vulture on 6 March, 2015 by Sean Monaghan.